None of our efforts could be possible without the full support of our professors, administrative staff, our department chairs who offer unwavering belief (and significant funding!) and the residents that power this site. Dr. Moffett is on faculty at the University of Louisville as an Assistant Professor of Internal Medicine. He practices primarily at the VA Hospital and is known for his ability to simplify and organize complex pathology. Dr. Lederer is an Associate Professor of Medicine at the University of Louisville. 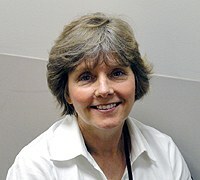 She is the Chief of the Division of Nephrology, the Program Director for the Nephrology and Kidney Disease Fellowship, and is active in leadership in the American Society of Nephrology. She received training at Baylor University School of Medicine.Her areas of interest include kidney stone, genetic kidney disease, and renal complications of pregnancy.